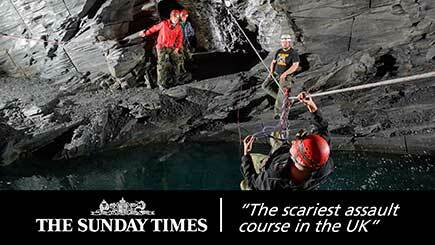 Craving an adrenaline rush? 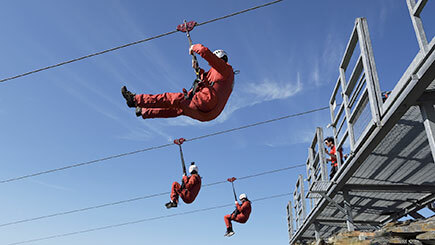 An exhilarating flight on the zip lines at Zip World Velocity is a truly unique way to see the phenomenal natural beauty of Wales and is guaranteed to delight any thrill seeker. 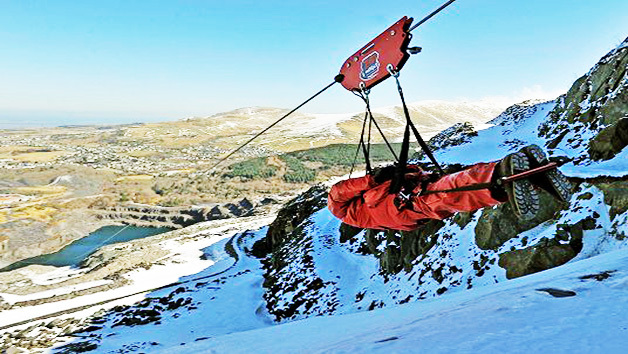 Take the leap of faith and fly amongst the birds, taking in the views of the remarkable Snowdonia mountains, lakes and quarries on two separate wires. 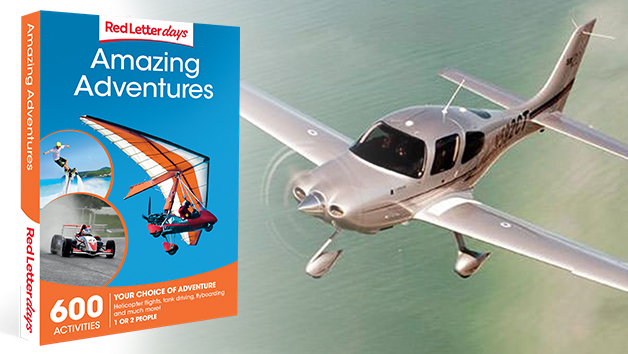 Warm up with the ‘Little Zipper’ and soar over the lake at speeds of up to 40mph. 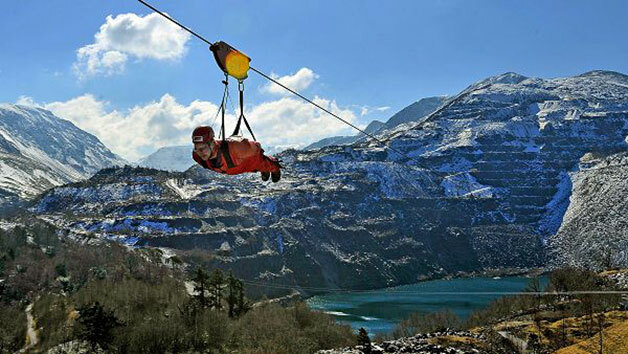 Once landed, jump on specialised transport and travel through one of the world’s biggest slate quarries towards the whopping ‘Big Zipper’, the fastest line in the world and the longest in Europe, and prepare for a one mile ride, reaching speeds of over 100mph and heights of 500 feet. Leave tingling with adrenaline! Minimum age is 10 years (under 18s must be accompanied by a participating adult). Minimum height: 4'0"/1.2m. Maximum height: 6'6"/2m. Minimum weight: 4st7lb/30kg. Maximum weight: 18st9lb/120kg. 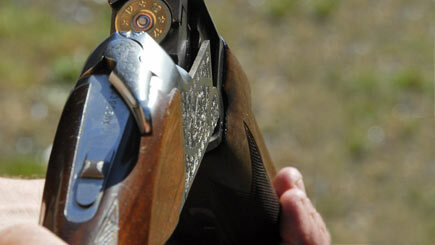 If this experience is postponed due to adverse weather conditions, you will be able to reschedule within 12 months. 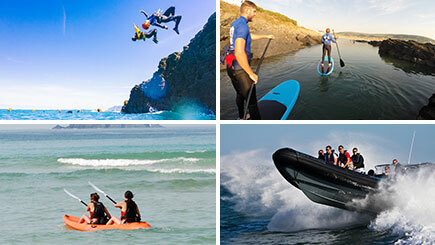 Participants will be supplied with a flying suit which is wind and shower proof and a helmet and goggles. Please wear warm clothing and a waterproof coat (and ideally waterproof trousers).